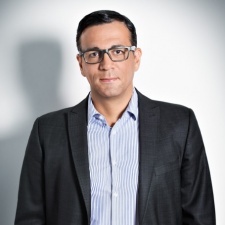 Markus Malti is CEO of WeQ. Through the years, the mobile games landscape has evolved dramatically at breakneck speed. When it comes to interesting territories for game developers to explore, South Korea has emerged as one of the strongest markets in Asia. If you have a gaming mobile app and are looking to improve your monetisation potential, there are plenty of valid reasons to extend your reach outside of tried-and-tested China and Japan. For starters, South Korea has the highest smartphone penetration in the world with 88 per cent of the population reportedly owning a smartphone, rising to a staggering 100 per cent between 18- and 34-year-olds. Also, the mobile games market is growing impressively in downloads and revenue and has now become the fourth largest in the world. Until 2011, gaming was a niche activity, due to strict regulations - but it surged in 2012 with the launch of Kakao Games (owned by Kakao, the dominating mobile platform with over 100 million users, which also operates Korea’s most popular messenger app KakaoTalk). Over its three-month launch period, it earned 82 million downloads by 23 million unique users in South Korea alone. In 2017, mobile gaming revenues exceeded $4.2 billion. This is hardly surprising given that out of a population of 49.5 million people, a whopping 25.6 million are gamers - with 55 per cent spending money on mobile games. In fact, South Koreans score second-highest globally after Japan, on average monthly game spend per player at $12.80. It’s fair to say that the market is fiercely competitive with local companies dominating, but the good news is that mobile games monetisation is still in its infancy. Local gamers are still hungry for more. They are testing and downloading new titles at a rapid pace, in search of the latest and greatest experiences - with more than 35 per cent gamers downloading an average of four or more games per month, and more than 60 per cent downloading between one and three games. So there is plenty of potential for games coming from the West too. We have rounded up our four tips for tapping into the South Korean mobile gaming market. Know your audience. Koreans are social gamers, who like to play in teams and spend time on social networks, so MMORPGs (massively multiplayer online role-playing games) are hugely popular. You’ll want to tap into that. Many top selling apps are from Kakao Games (owned by Kakao, the dominating mobile platform with over 100 million users, which also operates Korea’s most popular messenger app KakaoTalk) which can easily “make or break” a game. Popularity is largely dependent on Korean gamers inviting friends to play and swapping score updates. It’s also worth noting that the average Korean gamer has over 40 installed apps - double the US average - with only three of them being paid apps. While men have a taste for RPG and MMORPG adventure titles, women throw RPG, casual games, board games and puzzles into the mix. In general, the country is leading in esports (a national pastime) and in battling high-level AI bots (it’s the world’s most competitive StarCraft venue). 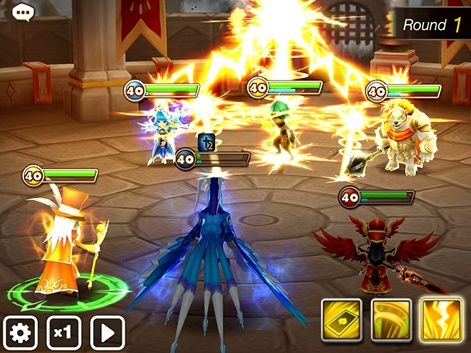 Summoners War is the highest grossing mobile game earning more than $1 billion. With that in mind, make it a key focus to bring other players into your freemium game model. Accordingly, for monetisation, you must rely on incentivising the “social elements” - and leverage virtual money to encourage in-game purchases. For example, individual gamers will be inclined to buy an upgrade if they are running out of lives to avoid their team being held up. Then, they can progress in the game and show off on social networks, or on group mobile chats including Kakao Talk. Integrating your app with local messaging systems will allow you to expand your reach to other potential gamers. For example, casual games perform well on both Google Play and the Apple App Store, which are integrated with Kakao Talk messenger. Format-wise, Koreans like to keep it local; meaning that they prefer to play games in their own language (Hangul) and are drawn to images that have a Korean “feel” to them. Local gaming success stories like Candy Crush and Minecraft can attest to that strategy: investing in localisation (and good translation) is key. Perhaps you can also consider UI factors for localisation. When running mobile ads, customise them in a way that is tailored to the culture - for example by including special emojis - as they will have a far greater impact on conversion rates. By law, before any game can be distributed in South Korea, it must be submitted and approved by the rating boards: the GCRB (Game Content Rating Board) and GRAC (Game Rating and Administration Committee). Due to the “Game Industry Promotion Act” which established a legally binding age-appropriateness rating system in December 2013, it’s crucial for developers and publishers to comply with their regulations and to budget for the fees involved in the application process. On average, 60 per cent of gamers in South Korea spend 30 minutes per day playing mobile games. The short time suggests that mobile gaming is the pastime of choice while stuck in public transit or multitasking - thanks to their super high-speed wireless infrastructure - making this an ideal time window to “hook” new users with localised ads for new mobile games. Take a lead from local developers, who send push notifications during commute hours and lunch breaks. But don’t expect too much too soon: gamers make in-game purchases largely around pay day, including in-game subscriptions too. As for device formats for mobile gaming, Android is the undisputed leader in South Korea with an 80 percent rate share, so it’s good to think “Android-first” and ensure a strong presence on Google Play and targeting Android users. In addition, two other Android app stores stand out: T-Store (pre-installed on devices with a contract of mobile operator SK Telecom) and Naver Appstore (with a game portal by Navel search engine). Lastly, there’s no better way to gather insight other than experiencing the buzz first-hand on Korean soil. You may consider attending G-Star, the annual trade show for video games, later this year. We can’t wait to see what new innovations await us in South Korea’s mobile gaming sphere this year.